It’s Saturday night on January 2nd, 2010 and the film is Avatar. Arriving 30min early I soon realize why reservations are so important, as the film sold out hours earlier and there is already a line-up just to get in. Now what makes this place so special that it’s such a hot spot in the area you ask? Well I say that’s a great question. First off let’s talk about what it’s not. It’s not the biggest theatre, with the best video or sound. What it has in abundance is character. 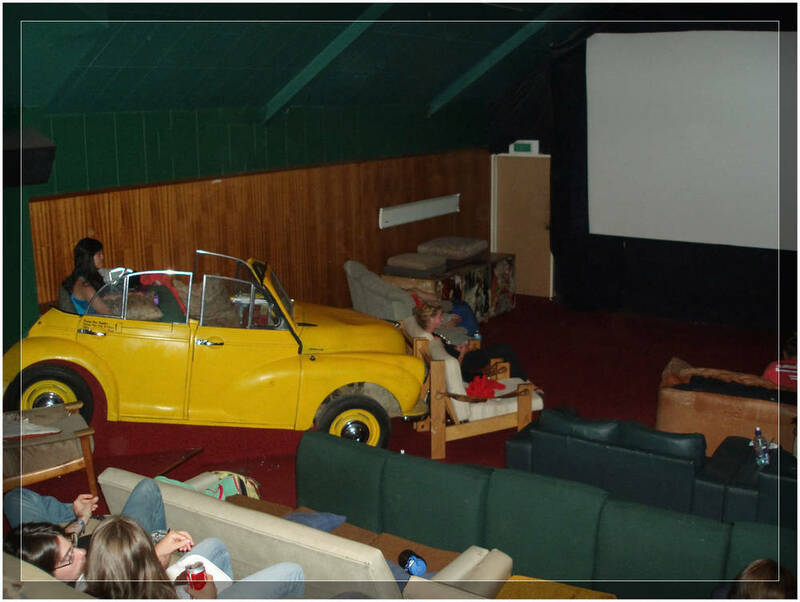 It's like watching a movie in your buddy's giant garage. 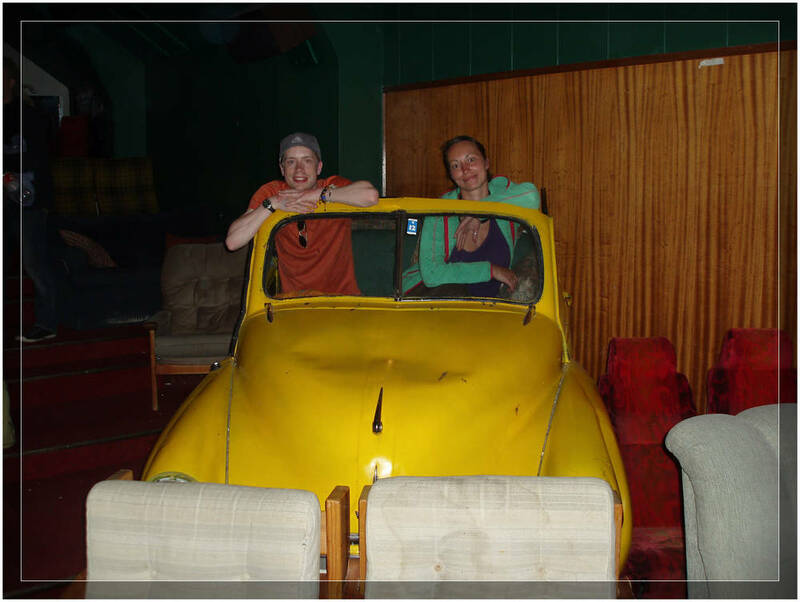 The theatre seating is comprised of 2nd hand couches, lay-z-boys, a couple of old theatre seats strewn about, and even a VW Beetle. In a throwback to the old days of film, there is an intermission at the ½ way point of each film for refreshments including drinks, freshly baked cookies, or even meals. In the line to get in, you can tell people are antsy. When the small door to the theatre opens, it’s a free-for-all to find the best seats. Near the end of the group, and not sure what to expect, I scramble for a piece of couch. The film begins and all is well. No crappy trailers or commercials, just the movie. I’m living in a dream here compared to the 25min of ads and 25min of terrible trailers that I’m used to in most major theatres. All is well when right on cue, the movie stops and the lights come on. We all rush outside as the theatre is quite warm on this summer evening and the lasagne I had ordered earlier is waiting for me. I head back in minutes later with my dinner and the movie starts back up. Film aside (it was OK), this is all about the theatre. I’ve been to dozens of theatres over the years and no seat has been nearly as comfortable as the 2nd hand, well worn leather couch I sat in. This is a funky theatre, with food made on site, and a totally different vibe than the usual big box theatre near you that is normally killing cool theatres like this every day. In Wanaka this place not only survives, but flourishes. If we didn’t already have a pair of struggling independent theatres (Broadway & Roxy) back home in Saskatoon, I would be opening a place like this.